Since bringing on board John Legere as its CEO last fall, T-Mobile has been all over the place trying to reinvent its image and win back customers. This new “Uncarrier” philosophy appears to be working. T-Mobile has announced that its subscriber base has grown for the first time in four years. T-Mobile has gained nearly 600,000 customers in Q1 of 2013, bringing the company’s total customer base to about 34 million and marking the first increase in almost half a decade. Subsequently, the company is seeing decreases in the number of postpaid customers – meaning people who pay at the end of the month such as those on contracts – but the rate at which it’s dropping is steadily declining. Simply put, T-Mobile is growing, and finally beginning to curb the rapid loss of customers it has experienced for years. 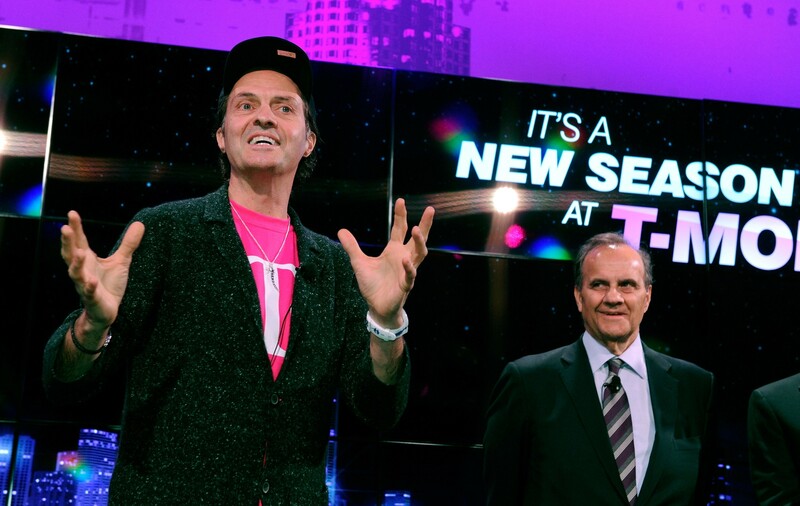 T-Mobile has done a lot to claim its title as the ‘Uncarrier’ in the last few months since Legere joined the company. The company bought Metro PCS and is quietly integrated its services, customers, and technology into the T-Mobile network. In January, Leger scoffed at the competition at its CES keynote, and CMO Mike Sievert told us just what makes the Uncarrier tick, and more about the company’s bold plans including new Value plans and nationwide LTE coverage. Just a few weeks ago T-Mobile unveiled a test run of its new LTE network in New York, and told us it’s ditching contracts for good. It’s hard to believe this is the same T-Mobile that AT&T almost bought, and it looks like Legere’s Uncarrier strategy is doing something, though we’re not sure yet if it’s going to be a runaway success. Despite all these many (and almost crazy) efforts to win back customers, T-Mobile is far from out of the hole. The carrier still holds a distant fourth place from the other big three carriers, and the number of postpaid customers is still dropping. Still, the Uncarrier effort and the ideas it entails seem to be attracting the attention of other carriers. If T-Mobile can continue to innovate and impress, it may just see a surge of growth in the coming months. Will SRT shoehorn the Viper V10 under the hood of the Challenger to take on the Chevy Z/28?